You have that feeling that your CM FuBo is somewhat sluggish despite its Quad Core processor? 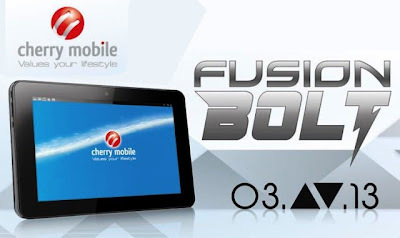 Well you've come to the right place, because today, I'm going to share on how to upgrade Cherry Mobile Fusion Bolt to Ainol Venus Lite Firmware. Before we proceed with that TUT, let me remind you that "Upgrade at your own risk". I am not responsible for any damage caused by following this guide. Now if your brave enough to make FuBo faster, lets proceed. 1080p Video Decoding can be achieve. 3D Games can now be playable without lag. Higher FPS (frames per second). Shutdown Fusion bolt and then disconnect from PC. Hold key "volume +", then connect PC USB port and wait for few seconds. (Important!) PC will ask for unknown device drivers, select the path to folder "\Hero 4 nuclear upgrade tool\Driver\" from "Firmware Update Tool" and let install them. (Important!) Select all the three .img files (misc.img, rec.img, system.img) if you forget this files, CM Fusion Bolt will not boot anymore. Click DOWN button and wait until the upgrade is done to 100%. Disconnect from USB and let the Venus boot to start-up, it might take some time, just relax and drink some coffee. After booting, Congratulations! You've just freed your Fusion Bolt from those chains. Be sure to share your experience at the comments, and if you have any problems installing the upgrade, don' hesitate to ask. Thanks! Anyone try this? ....working bah? Hi, Itried this but it kkeeps saying adec reset failed..